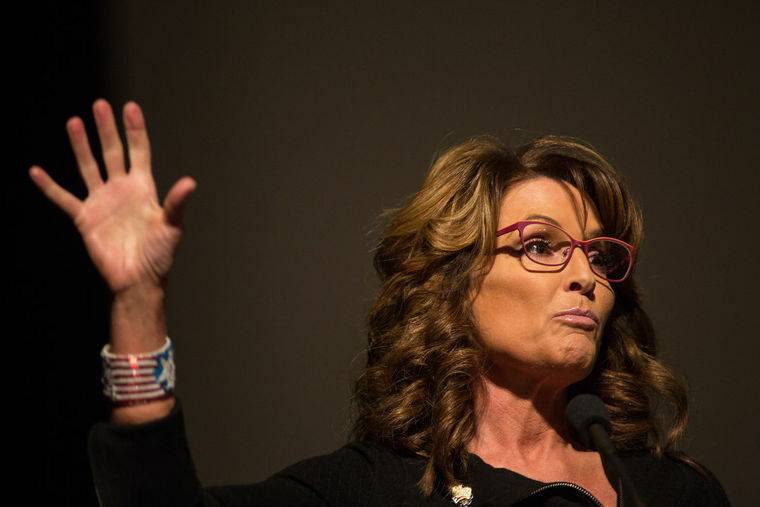 Sarah Palin's hands show her to possess useful politician qualities, although nothing spectacular. an intellectual, but she is sharp and practical, if a little impulsive. The strong Jupiter (mount and finger) points to high ambition and high self-esteem. As her hand shows an average amount of love and sympathy for people (although there is compassion for the underdog present), this combined with the higher than normal self-esteem or ego will tempt her to treat people whom she considers her inferiors indifferently or badly. There is some unreasonableness, crudeness and impulsiveness shown as well (thumb) and this adds to the reading. Check out photos of her hands here and here. Her hand (shape and setting of fingers and thumb) shows an odd combination of naivety and guile. She can be devious and innocent, trusting but manipulative. She likes her own way, and can most devious when she wants something. (Jupiter and Mercury fingers). One cannot take her at her word. In fact, it's best not to. She can be diplomatic and very smooth, and can get out of sticky situations with panache. 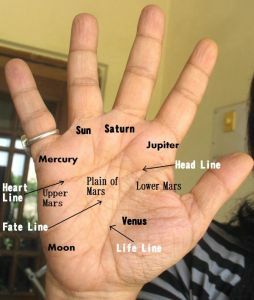 Her hand does not show the required talents necessary for strategic thinking (Jupiter and Saturn fingers and Headline). She may be idealistic in some ways, but her hand does not show a strong or unshakeable belief system or ideals. In other words, she could change her mind about important issues. But flexibility is not necessarily a bad quality and will be useful to her as a politician. Her personality is not particularly a strong, determined one, and neither is charisma shown. These are the greatest drawbacks for Sarah the politician. In fact, her hands reveal a lack of true warmth for people (evident from her Mount of Venus and thumb setting and position). However, there are indications that she will start reaching out to people far more than comes naturally to her as she grows into middle age. Her hand shows a persona dominated by feelings (more for herself) rather than her thoughts (Heartline) And a person whose impulsiveness takes away from her determination. I think she appeared for a TV show in India recently and people's comments were - 'Not that bad'! The image that is being portrayed of her is not all that good and I think many people in US don't like her. At least they are clear about what kind of politicians they want. Here, we let anyone become a politician and there is no critical review/ performance at all! "Devious but innocent, trusting but manipulative" sums it up, I guess.